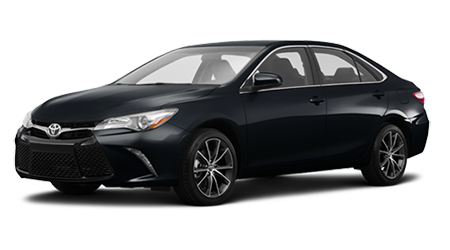 Are you interested in driving America’s best-selling car, the Toyota Camry, but don’t want that new car price? If you live near Newark, Paterson, Elizabeth, and Chestnut, NJ, you’re in luck. Pre-owned models of the durable and fuel-efficient Camry are available at Rockaway, NJ’s Grecco Used Cars. When you visit the Grecco Used Cars showroom or our online inventory, you’ll find a nice selection of used Toyota Camry models available. From an older base model to a nearly new late-model Camry with all the newest bells and whistles, we’ve got them all. Why pay the extra price for a brand new Camry when you can find a low-mileage model here at Grecco Used Cars and save thousands of dollars? We only sell used Camrys that meet our quality standards, but for even more buying confidence you can purchase a Certified Pre-Owned (CPO) Camry at Grecco Used Cars. Used Camry models which have fewer than 85,000 actual miles and are no more than seven model-years old are eligible for Certified Pre-Owned Toyota status. Next, every CPO Toyota vehicle must pass a 160-point inspection and an Autocheck Vehicle History Report. CPO Toyota vehicles are backed by a 12-month/12,000 mile comprehensive warranty and a 7-year/100,000 mile powertrain limited warranty. When you’re ready to get pre-approved for your used Camry at Grecco Used Cars, log on to our website and complete our easy, four-step application. Our Finance team will contact your following a review of your application to discuss financing options based on your unique financial situation. Don’t worry if you have less-than-perfect credit, we’ll help you get approved and behind the wheel of that used Toyota Camry! If live near Newark, Paterson, Elizabeth, and Chestnut, NJ, and are searching for a used Toyota Camry, stop into Grecco Used Cars or visit our website. Our showroom is located at 418 Rt. 46, in Rockaway, NJ.